Ask Dr. Nandi: Michigan measles cases reach 15 -- How serious is this? Fifteen cases of measles have been confirmed by the Michigan Department of Health this year. It’s the highest number Michigan has seen since 1994. Health officials are now urging anyone who has not been vaccinated to get immunized, as it’s the best way to protect families and communities. Question: How serious is the Measles? Measles are not only serious but extremely contagious. We forget that decades ago, before the vaccine became readily available, that nearly every child had the measles before they were 15. And roughly 3 to 4 million Americans were infected each year, thousands were hospitalized and 400-500 people died. Now back in 2000, measles were declared as eliminated from the United States. But that doesn’t mean you still can’t get it. Often these outbreaks are linked to people who travel abroad to countries where measles are still common. Now many who get this disease, typically start off with a fever, cough, runny nose and watery eyes. The tell-tale flat red spots appear on the face and body a few days later. Now this disease can be serious because of potential complications. Pneumonia and encephalitis which is swelling of the brain can lead to hospitalizations and death. And today about 1 in 20 kids with measles ends up with Pneumonia and about 1 in 1,000 develop encephalitis. Question: Now we know the majority of those who caught measles were unvaccinated. Does that mean you can still get the measles even though you were vaccinated? It is possible, but let me point out that if you get one dose of the MMR vaccine, which is measles, mumps and rubella, it’s approximately 93% effective at preventing measles. And if you get two doses then it’s about 97% effective. It’s recommended that children get their first MMR dose between 12 and 15 months of age, and the second dose at 4 through 6years of age. Question: What if you’re an adult, and you’re not sure if you were vaccinated as a child? If you can’t find out through prior immunization records, then talk to your doctor. They can order a blood test to see if you’re immune. Or you can just get the MMR vaccine regardless as there’s no harm in getting another dose. 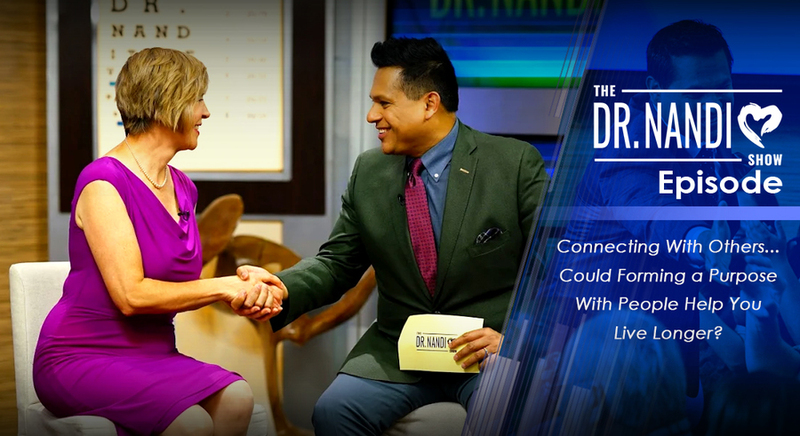 This week on The Dr. Nandi Show, it's time to make some friends! Why? Because despite the popularity of social media, many more Americans are saying they are lonelier than ever before. And this can harm your health! How? Find out by tuning in this Sunday November 11th at 5pm to hear Dr. Nandi and his experts discuss this serious and rising public health concern. And you’ll also learn how connecting and forming purposes can add to your overall lifespan.